Paragon Nordic offers our customers flexible solutions that start from finished concepts or where we together develop a product from the idea stage. We can also fill your already developed and registered products. Our focus and specialty is in the development and production of all forms of aerosols within the medical technology area and the production/filling of pharmaceutical products with a capacity to produce 3 million units per year but we can also offer other types of product formats. Läkemedelsverket, which is the regulatory authority in Sweden, has given Paragon Nordic permission to fill pharmaceutical products in aerosol formulations for topical use. All manufacturing is done under cGMP (current Good Manufacturing Practice) and the company is also registered with the FDA for manufacturing to the US market. Technical expertise in aerosols, sprays, mousses, lotions, pumps, etc. Read more about our services and work for sustainability and quality here! Paragon Nordic offers development and production of medical devices, mainly in the form of aerosols but also Bag-on-Valve system. We are also able to produce other types of packaging formats such as pump sprays, plastic bottles and lotion pumps. The production is in accordance with the requirements of ISO 13485 and depending on changes in product classification, or special requirements of the customer it can be performed in clean rooms under ISO Class 8 or in the same facilities for the production of cosmetic products in accordance with the requirements of ISO 9001. Medical devices can be varied endlessly. Through development and close cooperation with the customer our product developers produce various formulations and product suggestions. As part of the development of a new product we also offer to produce products that can be used for clinical evaluation and study. If the customer already has a formula or an approved registered product, we can help with scaling, validation and ultimately production. Paragon Nordic is an excellent partner for the filling and production of pharmaceuticals primarily in the form of pressurized containers such as aerosols and bag-on-valve solutions but also other types of packaging such as pump sprays, plastic bottles and lotion pumps. 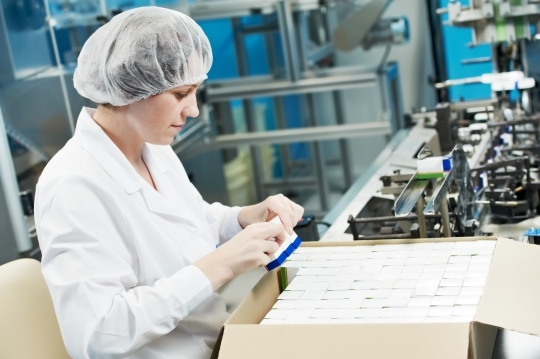 All pharmaceuticals are produced in clean rooms under ISO class 8 and all we comply with cGMP. As part of your development of a new product Paragon Nordic can produce products that can be used for clinical evaluation and studies. If the customer already has a formula or an approved, registered product, we can help with scaling, technology transfer, validation and finally the production depending on your needs. The awareness of the need to protect our skin from the sun is high. The protection should be easy to apply, provide effective protection and be longlasting. Consumers with sensitive skin also prefer if the protection has a caring effect. When using Paragon Nordic to develop and produce your suncare products you can choose to use skin care base formulas that provide both protection against the sun and a nourishing effect for the skin. Proderm technology and Pro-Q derm are baseformulas that can be used to create a wide range of products in skin care, foot care and sun protection. Thanks to its nourishing and healing properties it is also suitable for products for dry and irritated skin and for sensitive skin. For more information about how we can use these product bases for your products, please contact us! The technology is well documented and supported by a large number of studies. Thank you for your message! We will make sure that the correct person recieves your question and gets back to you in short!